It was Chuck Norris’s birthday recently and I thought I would illuminate 5 ways he has helped out the technology side of education. Certainly he could fix all of our problems with a roundhouse but that would teach us nothing. Chuck believes in the journey, not the just the solution. Here are the 5 ways he has helped/transformed education (and for the record, not my best Photoshop work). 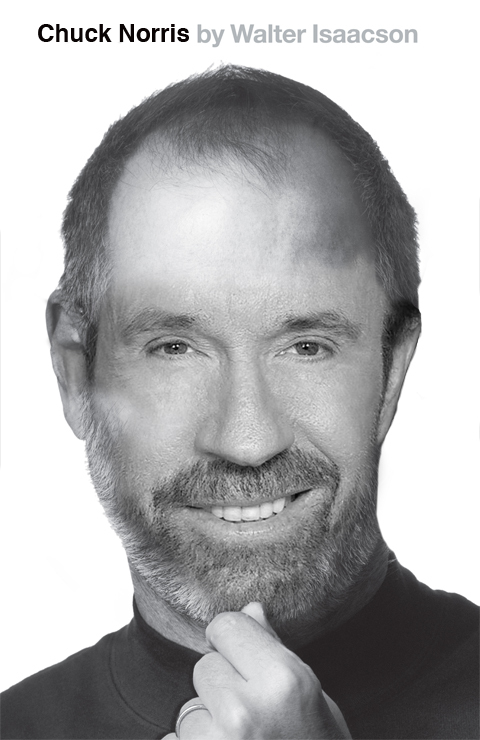 Chuck Norris can filter the Internet through his beard and then deliver it to schools. This effectively removes anything that is inappropriate for children and it conditions his beard at the same time. A win-win for everyone. Chuck Norris taught an online SAT preparation class. Students paid $10,000 each to attend. When they they logged on for the first time a virtual fist punched them in the face. Those students scored 105% on the SAT. No one knows how. Houghton Mifflin asked Chuck Norris to write a textbook. He gave them a picture of himself. Houghton Mifflin published the picture as an all-in-one textbook solution. Standardized scores in the schools that received the textbook were so high, they graduated high school with a Masters Degree. Take that iBooks! Chuck Norris was once asked whether schools should provide laptops or whether students should bring their own device. Chuck proclaimed “I am my own device. So of course I would bring myself.” Then he asked the reporter “Why are you asking? Do you think I need to go back to school?” Chuck Norris then roundhouse kicked the reporter back to the third grade to learn how to properly ask questions. The fastest Internet in the world could be run through Chuck Norris’s beard whiskers and would provide wireless access to the entire solar system. However, trying to remove one meant certain death and even if Chuck would donate one, the world would sooner destroy the Mona Lisa than mess with the perfection of The Chuck Norris Beard. This entry was posted in Chuck Norris and tagged Chuck Norris - Need I say more?, Oh yeah he is the greatest man around!. Bookmark the permalink. That was SOOO funny! THanks for making me laugh!